At St Joseph's Mercy, Navan we pride ourselves on our outstanding commitment to extracurricular activities. This enthusiasm can be seen in the huge variety of sporting activities offered. 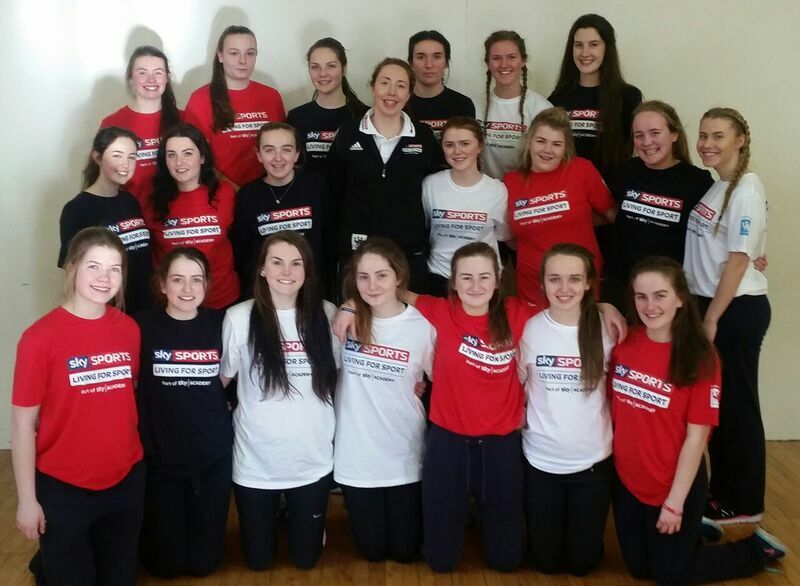 Clubs range from Gaelic games to Gymnastics, Hockey to Zumba. We provide activities for all ages and interests. Here you will find accounts of the various sporting activities. 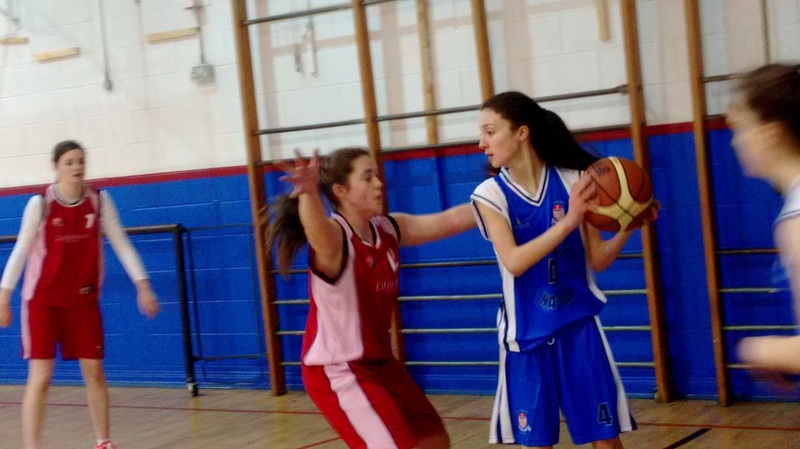 Currently we have 3 Basketball teams - 1st years, 2nd years and Under 16's. Next year this will extend to 4 teams with the addition of a senior team. 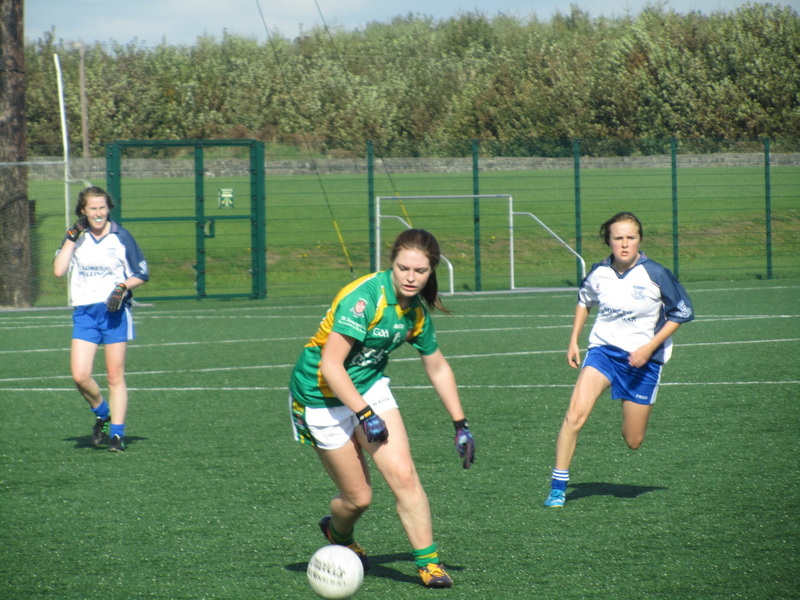 Mercy has four football teams - Senior, Junior, Under 14's and a 1st year team. This year both our Senior and Junior teams successfully reached their respective Leinster semi - finals. Mercy compete in a number of Athletics competitions throughout the school year. At the Meath Athletics Finals held in Claremount Stadium in April last, 3 of our relay teams all won gold! 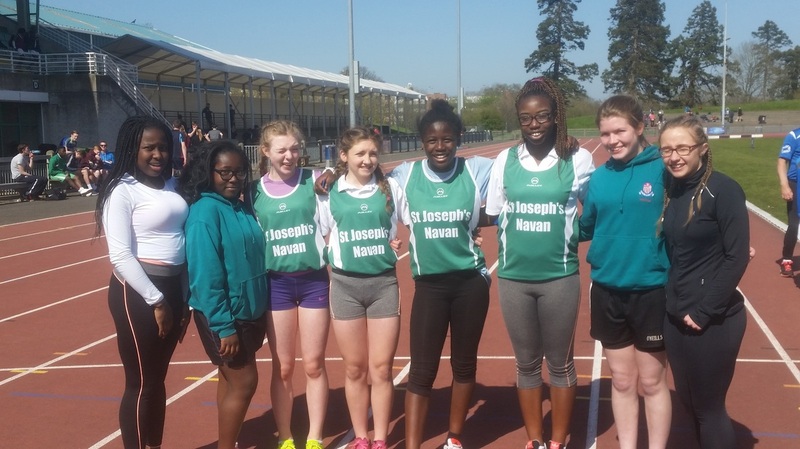 We have also had over 40 athletes represent Mercy in the North Leinster Athletics Competition in Santry this year. Hockey has a long established tradition here and our teams are regularly involved in League Finals.There are four hockey teams - Two senior teams and two junior teams. Our Sports Council are a group of 20 senior students that help organise sports clubs and events throughout the school year. It is their role to promote healthy living among our school community. 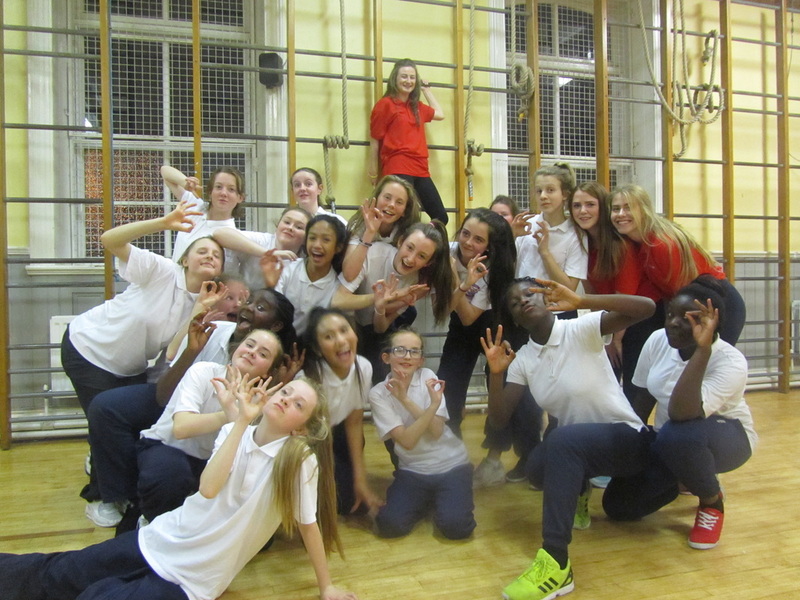 During the first term our 1st year students with the help of the Sports council choreograph a dance. This culminates with a fabulous performance on Open Night. It is always a great showpiece. 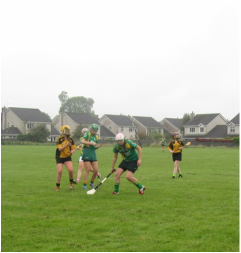 We have currently three Camogie teams - Senior, Junior and under 14's. This year our Senior team reached the Leinster quarter final where they were narrowly beaten by Scoil Criost Ri, Portlaoise. Mercy Win Lidl GAA Kit! 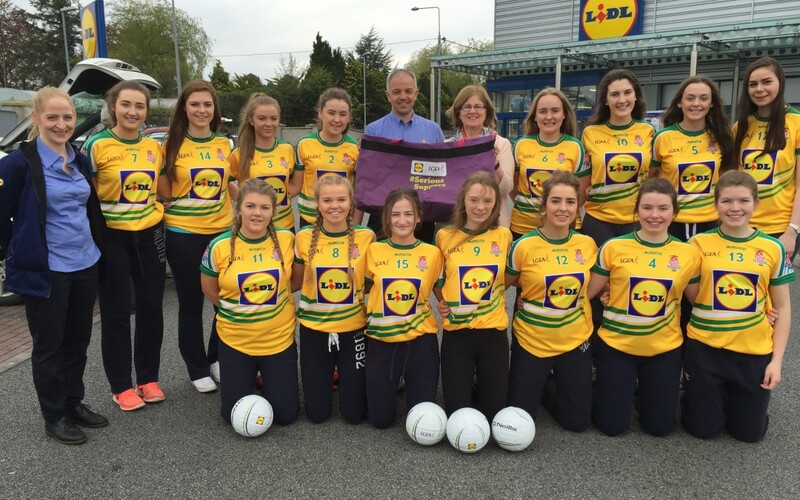 Mercy were the resent recipients of a new GAA kit sponsored by Lidl! Thanks to everyone who voted for Mercy in the local Lidl store which meant we won the competition!